The term 'Pleasure Principle' is attributed to being coined by Sigmund Freud but has nothing to do with dream interpretation. This principle asserts that people will pursue pleasure instead of, or to avoid pain. Nowhere can this concept be seen more applicable in marketing than in the diet and fitness industry. How many ads have you seen that suggest rapid results without pain? Very few advertising campaigns use the 'no pain no gain' approach. Not that 'pain' does not work when applied well (think Nike and Propel Fitness Water). 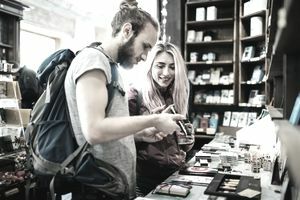 Simply put, most consumers want something that offers pleasure or satisfaction for little pain or sacrifice; something that simplifies an otherwise difficult task which includes physical, educational, and psycho-social tasks. The Pleasure Principle, although not the same thing, might also be oversimplified by saying people want to “work smarter, not harder” to achieve goals that give them pleasure and satisfaction in the fastest way possible. According to Freud, the opposite of the Pleasure Principle is the Reality Principle. This principle allows us to put off seeking gratification until later if the reality of our circumstances dictates it is better to use do so. Business owners need to find ways to prevent the Reality Principle from overriding the Pleasure Principle. Advertising drives consumers to make impulse shopping decisions to get their business in the moment. However, it is vital to your long-term success that you do not exploit customers in the process of securing a transaction. How can my product or service help someone achieve an end with less effort involved? How can I make people feel good about their purchase? How can I present my product or service in a way that encourages the “pleasure” mindset of consumer that supports the “reality” mindset without taking advantage of customers? Extoll the benefits someone can reap simply using your product. Are you offering something rewarding from the experience or simply doing something a consumer would need to do anyhow (i.e., personal hygiene, laundry, drive a car)? Does your product help the environment? Give a portion of sales to a charity of choice? What, for no extra effort, do pleasure-seekers gain from choosing your business over another? Be careful not to make a product sound as if the buyer will have to do nothing at all. Total substitution or automation does not completely meet the needs of the Pleasure Principle. To receive pleasure, your consumers still need to feel that they were a part of the experience; otherwise, it becomes too impersonal to capitalize on the Pleasure Principle. An example of making things too easy is exemplified in an interesting marketing catastrophe in the baking mix industry. In the 1980s, to help busy working women, several types of baking mixes were mass-marketed that only required that water is added. The advertising campaigns boasted quick and easy results – “just add water.” Sales immediately dropped. But when one additional step was added back in, “add an egg,” sales returned. Why? Because when something is too easy, consumers are deprived of the pleasure of self-satisfaction from doing something – even if they do very little at all.